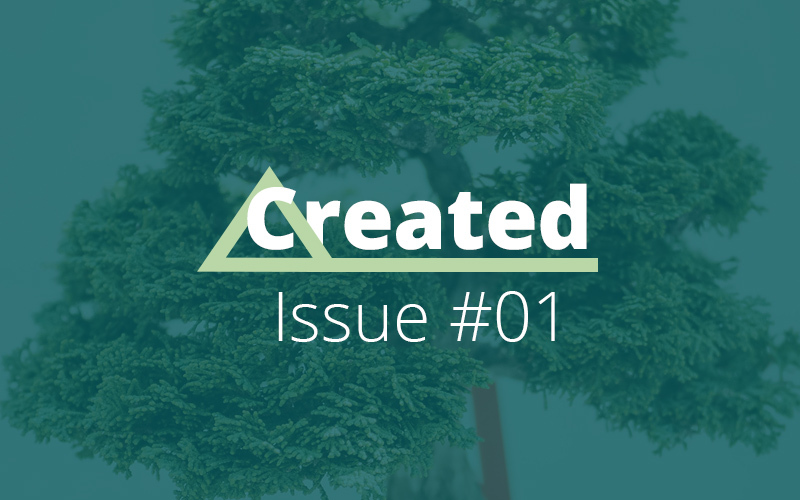 Here is the first issue of “Created” packing a lot of goodness for creators. Sharing is caring… is the underline principle for “Created” roundups, plus I just love curating useful content. With every issue, I hope to share amazing content that will help us become a better and more profitable creator. 1. Explaining basic webpage… components is not an easy routine when dealing with non-technical clients. Kyle Van Deusen has found success using this cheat sheet to explain basic parts of a web page – very handy! 2. Website homepage… is the most critical part of the website. So, never stuff it like a turkey! Check this amazing article by Todd E Jones listing six actionable tips to improve the website homepage. 3 SVG animations… are hot and your next client might ask for it. Check this video by Tim Preut introducing SVG animations with @keyframes CSS. 4. If you are into VPN… services, then check this 100+ best VPN services roundup by Gordan Orlic. It features an interactive table listing a lot of services allowing for easy filtration on specific parameters. 1. Learn online course… creation, marketing and selling from experts. Free Teachable Live workshop series should be full of goodness featuring 30 guest experts, 13 value-packed workshops, and an exclusive offer just for attendees. 2. Creating a landing page… that converts, easier said than done! Dave Foy is running a free online workshop “5 Reasons Why Your Landing Pages Aren’t Generating Leads (and how to fix them)”. Limited seats available, so hurry. 1. Simple Social Icons… plugin has a big update. This has been a favorite plugin for WordPress (especially Genesis) users. This plugin has been updated with custom icon styling for each widget, transparent icon background and more. 2. Custom data tools… in WordPress can be confusing when it comes to which to use and which to ignore. Peter Luit has made one view infographic showing what is possible with ACF, Pods, Custom Post Types UI, Toolset, Metabox, and Beaver Themer options. 3. Gutenberg storm… continues, Rian Rietveld has resigned from the accessibility team lead position. She wrote a very hard-hitting but factual description for the same. 4. Gutenberg sharp edge… discussion continues. Matt Medeiros shared his straight forward views about Gutenberg and how it might affect WordPress plugin and theme creators. 1. Facebook is getting… into hardware. Have you seen Portal from Facebook surprise for their attempt to get into your living room and making video calls ever so easy (as if they weren’t easy enough). 2. Automatic Email Newsletter… featuring posts from your Facebook page? Relike is an online service that lets you exactly do that. So, if you share tons of useful stuff on a Facebook page that can be a good fit for your email subscribers – this is heaven sent! Until the next time… before I sign off, would love to hear your feedback for the first edition of “Created”. Use the comments box below or reach me directly. Kyle, thanks for nice words. Yep, kept the format simple and organized. Excellent! Learned a lot from the first edition and looking forward to more. Ian, thanks for the amazing response. Hope to continue goodness in future editions. Very nice overview, thanks for linking to my latest article. Very welcome Peter and thanks for the support.